Theatre Projects Manitoba presents Science Affairs at Prairie Theatre Exchange‘s Carol Shields Festival. Walk through an exhibition of scientific discoveries and displays inspired by truth, legends, and dreams about the citizens of our one great city. Interact with your generous hosts and museum curators as you venture into the bowels of Science Affairs– where the collections come to life. A performance installation directed by TPM associate artistic director Andraea Sartison, and devised using the scientific process by TPM’s 2016/17 student reps:Davis Plett, Evan Martin, Liam Naughten, Kerensa Peters, Rebekah Enns, and Sarah Flynn. This FREE exhibition will be open from 6:30-8:30 p.m. on May 12th at Prairie Theatre Exchange, drop in during these hours at your leisure. 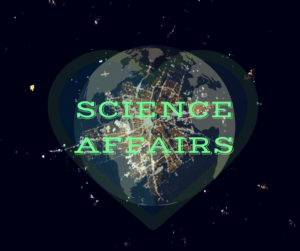 Science Affairs is the culmination of a season long partnership between our student reps and TPM’s associate artistic director Andraea Sartison. Beginning in September 2016, the reps were engaged in devised theatre workshops to generate artistic content using the scientific process. Work in progress was shared throughout the 2016/17 season at salons. Recently the ensemble spent time experimenting with how to unite all content created through installation and performance- resulting in the Carol Shields Festival exhibition.